Home→Blog→Apollo Olive Oil→Apollo Olive Oil won a Good Food Award for Both our Mistral and Sierra! ← Apollo Olive Oil is a Good Food Award Finalist for 2016! Apollo Olive Oil won a Good Food Award for Both our Mistral and Sierra! 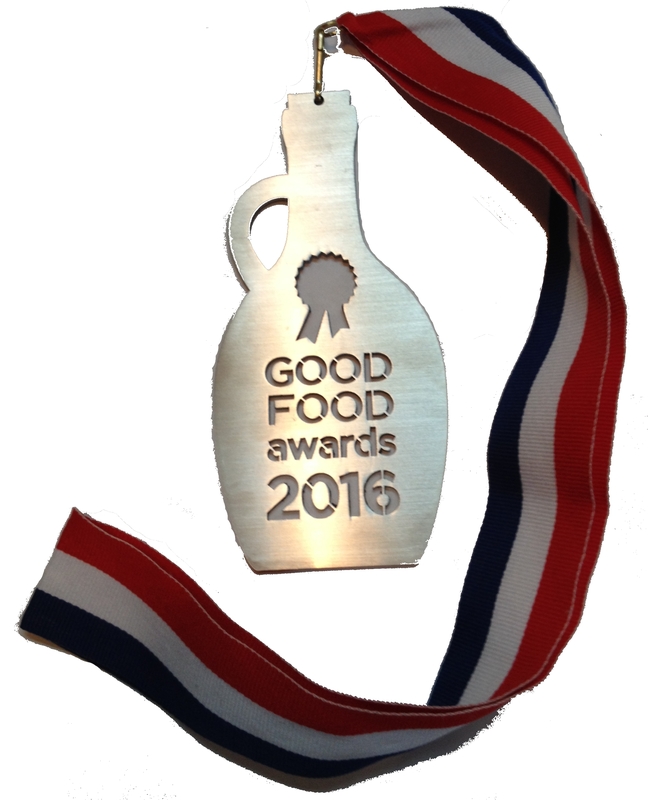 Back in November Apollo Olive Oil had the honor of being chosen as a Finalist for a 2016 Good Food Award. At last on January 16th, the winners were ceremoniously announced and Apollo was among them! Gianni received the award from the hands of Carlo Petrini, the founder of the International Slow Food Movement. There were a total of 1,927 entrants from across the U.S., with just 242 winners in 13 categories. Of the 11 winners in the ‘Oil’ category, only five were for olive oil, of which two others were also extra virgin olive oil. The Good Food Award recognizes that the Sierra and Mistral are of excellent quality and produced with sustainable methods benefiting local food economies.